Two young members of the Chacao gang on the streets of Caracas, Venezuela: Gerardo, who is 12, and Luis Alfredo, who is 10. Rosali Hernández. 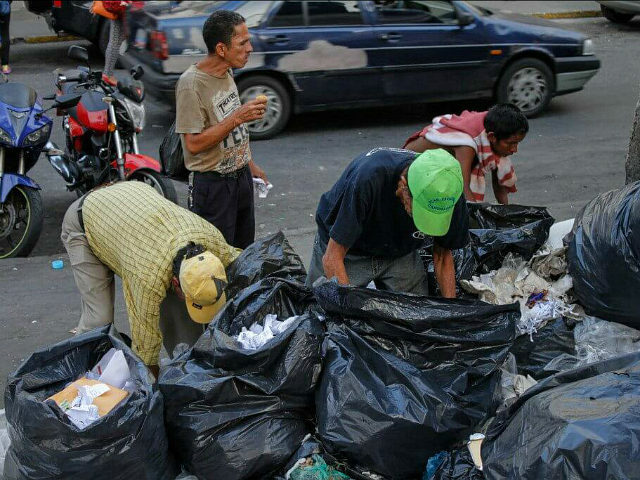 “We have to fight to get the best garbage, otherwise we starve” said Gerardo. The Chacao’s fight with Machete and knives. And the fight over top garbage to eat is no laughing matter. It’s literally life and death in Venezuela. Ah the fruits of Socialism and Marxism. You would think the Democrats would not be so loved in America when there are so many examples of socialist hells around the world.